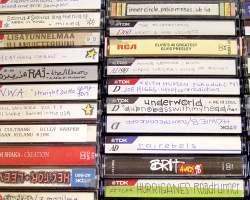 How can I reuse or recycle audio cassette tapes? | How can I recycle this? 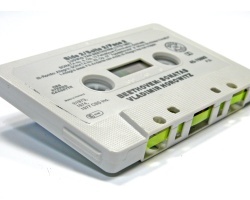 How can I reuse or recycle audio cassette tapes? Given my obsession started before I got a cd player in my bedroom, I bought all their early albums on cassette tapes and just about stretched them to breaking point with repeat playing. While the vinyl has lasted – and sold – well, I fear the cassette tapes are beyond the point of passing them on to someone else. So what else can I do with them? Is the tape reusable? And if so, any ideas? Pass Them On: Some people still use them – for both listening to and recording – so it’s probably worth checking to see whether your local charity/thrift shop still accepts them or offering them on Freecycle. Some charities also collect them for reuse for recording spoken newsletters and the like – see the comments below. Reuse: Tapes are very retro-stylish at the moment and people are using the plastic bits to make belt buckles, bags and other decorations. The tape can be knitted or crocheted too. 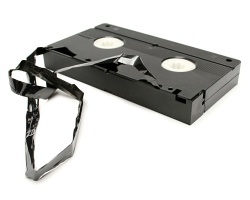 Recycle: The tapes are electronic waste so they should be collected by your local authority in their e-waste bins. If Steve does not get back to you / no longer require them then I would be happy to relieve you of them :–) I am also collecting used audio tape cassettes for a project (in Manchester too as it happens). I have video cassettes, can anyone use them? I have many Hundreds possibly Thousands of cassette tape looking for a good home. 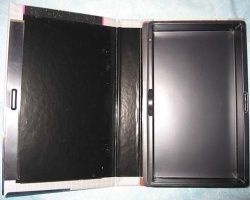 Most C90 with radio broadcasts recorded on them. Available from Reigate in Surrey. Also Many hundreds of videos looking for a good home, again blanks that have been recorded on. Any ideas where I can find a home for them or recycle them? Hi Dan! if you still need them I have about 50-100 message tapes (ie not music) which i would be very glad to donate to you if you are near enough…I think postage might be exorbitant but will check it anyhow!! We live in Reading but often travel to Leicester, Southampton, Bristol or Birmingham and are going to York this weekend, so do let me know whether you might still be able to use the tapes and where you want them! email me on mandvpatterson@talktalk.net as soon as you can! I have just found a couple of big boxes of mint pre-recorded cassettes (of one of my albums). I’m guessing there are about 200 (possibly more) all beautifully produced and wrapped in cellophane. We’re about to move into a much smaller property near Abergavenny – can anyone help me to find a new home for the cassettes? We are actually after old music tape, recordings off the radio from years gone by to mixtape, etc. Part of the appeal are the used / battered label (as oppose to your mint condition ones) that an individual may have written on, crossed out, etc. Thanks again for your kind offer all the same. I have about two to three dozen old cassette tapes, mostly taped from vinyl or CD, which I’d be happy to send you. These all have hand written labels. Some are of one artist (eg: Eurythmics, Alison Moyet, Dire Straits) and a couple are mixed. I also have battered originals by the Bangles, Pogues, Ramones and others. I’ve got at least two dozen cassette tapes and I think most of them are radio recordings. Are you still looking for them? 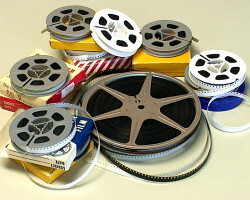 I am looking to recycle old audio music tapes-i don’t have that many but would prefer not to put them in the trash…….. I have about 10 mostly jazz copied form records. Interested? Have I understood correctly, you want cassette tapes of of albums recorded from vinyl/CD etc, or from the radio? I must have loads including various concerts recorded from radio broadcasts. Yes, I’m after any old ie: not spanking new cassette tapes. Not too fussed about what is actually recorded on them they are wanted more for their physical qualities ie: hand written titles, notes, different stickers, etc. The plan is to bond them to a wall to create a kind of ‘wall of sound’ installation thingy. How many are looking to off load Steve? Are you still looking for old tapes? I have done a clearout and found my retro 80’s music. They sound great! and yes I would be very happy to take them off you and put them to good use. You can contact me on: dantaylor93@blueyonder.co.uk do discuss further. I’ve got some unusual ones, rescued from vinyl when I moved to UK from US, now converted so spare. Tyrannosaurus Rex, Incredible String Band, Japan, more. Are you still interested? Sorry, just ticking notification, don’t see a delete button for previous. Please use this one to reply. I have a big audio cassette collection. I rather give them away instead of throwing them away. If anyone who is looking for any album on cassette I will be happy to send him/her any cassette as asked for. Thank you. My e-mail is mrphjm2@yahoo.com. I hope to hear from anyone soon. Please add me to the list. I have tons of mix tapes. Ajigglin@yahoo.com. My husband has likely over 1,000 tapes, Normal Bias, C-92- or C-90 with tabs. Please let me know pronto if you are interested. My phone number is 515 971-6997 and his is 402 250-1856. thanks! to body fat. Then leave it a while until your tummy lets you know that you’re hungry again before opting for a healthy snack. I have a selection of audio cassette tapes to give away, a mixture of pre-recorded and home-recorded, music and audio books and few blank tapes. Includes: Speech training for birds, Depeche Mode, T’Pau, Michael Jackson, Huey Lewis and the news, Billy Idol, Pink Floyd, Sue Townsend, Roald Dahl, Hits of the 60s, The Sinatra Christmas album, Johnny Cash, Nina Simone, Billy Holiday, Henry Mancini, classical music, Queen, Madonna, Scottish Favourites, Barry Manilow, Not the 9 o’clock news. If you’re interested contact me on catchbtw @ hotmail (dot) com. these games. Aside from making you happy, you are also made strong to face life’s challenges. I have a large collection of Audio Cassettes form 1980s & 1990s. The majority are Pre-recorded but some are copies with handwritten labels etc. On the off chance that your project is still running, would you like about 15 mixtapes with handwritten labels that an old friend made for me? If yes please let me know where to send them.